If you look carefully, you’ll notice that nothing is plumb here. 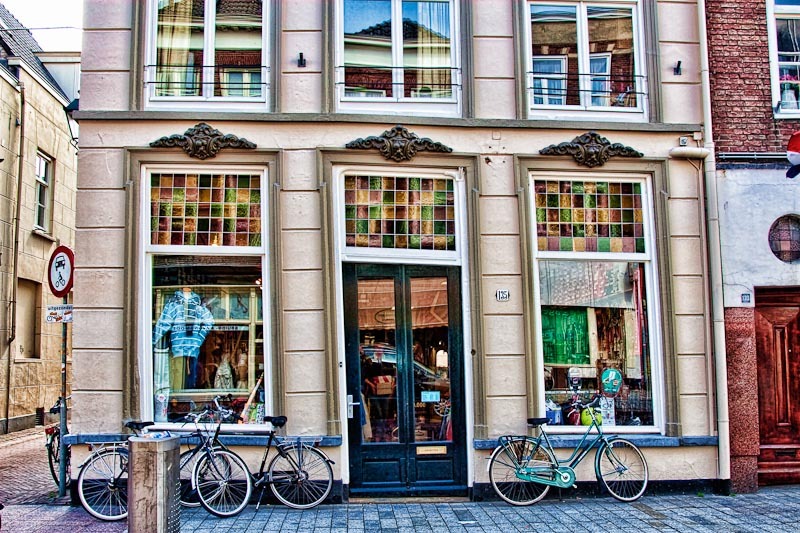 This great looking store is in Den Bosch, southern part of the Netherlands and is somewhat typical of this neighborhood. Most buildings are several hundred years old and have sagged over the centuries.